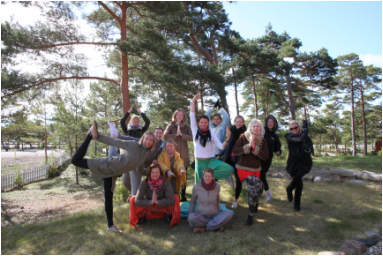 Yoga, meditation, pristine nordic nature, spring-time awakening. 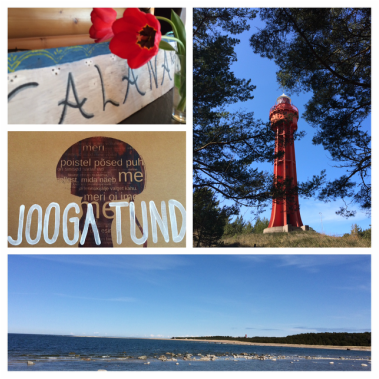 The spring-time retreat to Hiiumaa has become a sweet annual tradition. This year we will have a long weekend from Thursday until Sunday to really unplug, dive deeper into our yoga and meditation practice, to enjoy the pristine and clear nordic nature in its state of spring awakening. 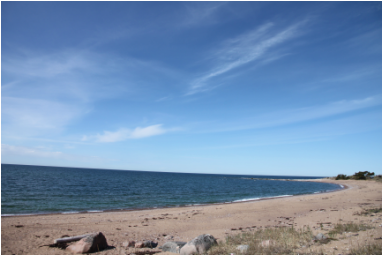 We will live right on the beach at a cute guest-house HÕBEKALA surrounded by empty shores, enchanting pine tree forests, where there is plenty of discovering for the adventurers and more than enough fresh air and space to just BE. The downstairs living and dining room will be turned into our yoga shala. We can comfortably fit 12 mats for our yoga sessions. We can accommodate more than 12 people, therefore if you have a non-yogi but nature and peace loving friend who wants to join us on the retreat, that is an option! Food - simple, home-cooked vegetarian meals. Yoga lessons - will be suitable for all levels, also complete beginners are welcome. Yoga will be offered every morning and evening, during this retreat the focus will be a spring cleanse for the body and mind. There will be a mix of Yin and Vinyasa yoga, meditation and pranayama (breathing exercises). The price without yoga is 120€. The price does not include your transport to and from Hiiumaa.